I have been working on my mini Davey. Starting these little guys out is very fiddly. 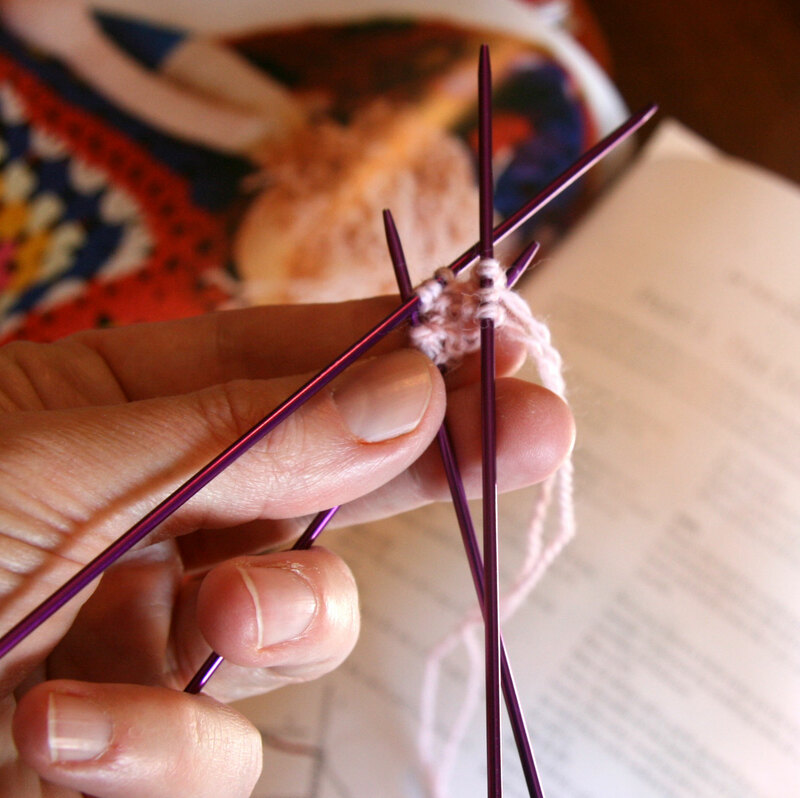 I am not a fan of balancing 12 stitches on four needles, but I have actually gotten better at it over time. 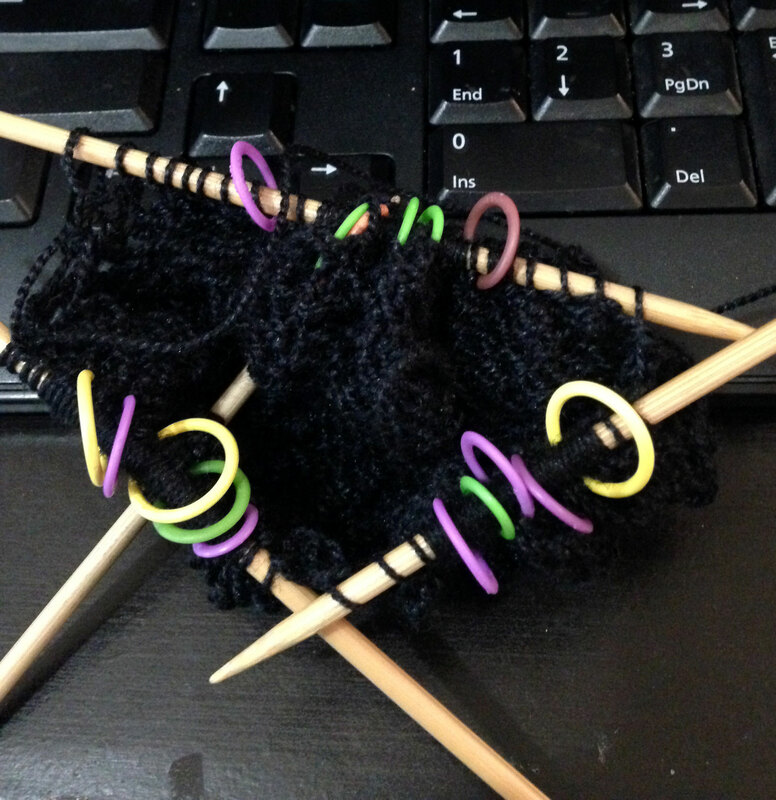 I had ordered Knit Picks Palette yarn because it is very reasonably priced and comes in a variety of colors. I was trying to find some good “skin” colors, but it can be hard to tell on the computer screen what the actual color will be. Davey told me they were too pink. I looked at David, and he agreed. I guess they are pretty pink especially in comparison to the more olive-toned mini cp. I tried to make the argument that people come in many different colors, tones or hues, but they weren’t convinced. 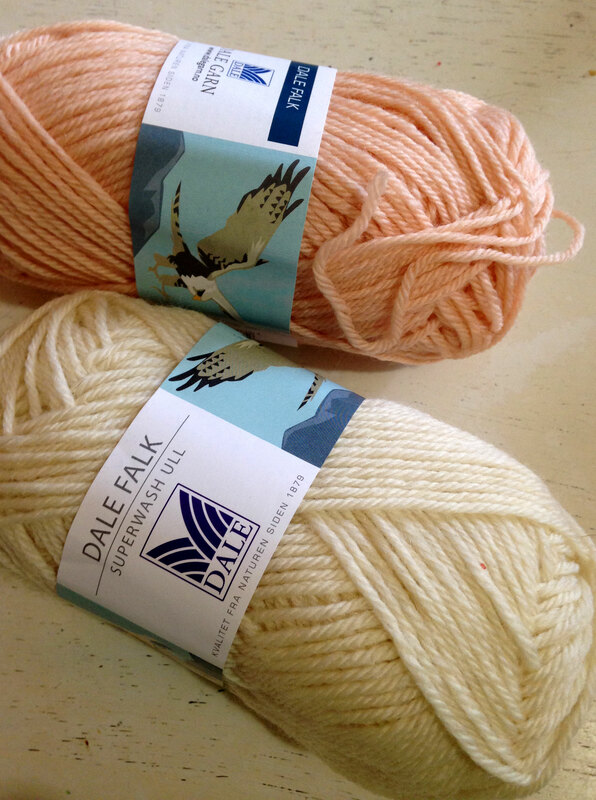 So I decided to order the yarn that Arne and Carlos use to make their dolls. David and Davey are much happier with these colors. 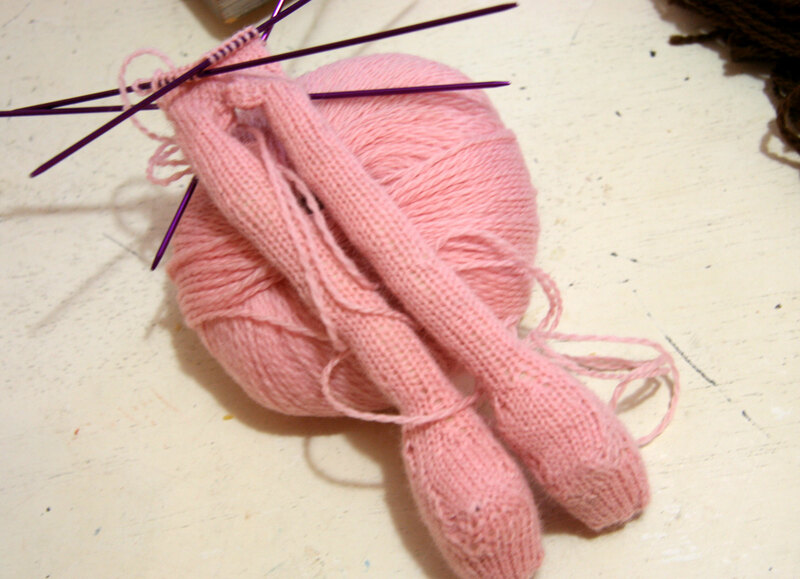 Fortunately, I can still use the “pink” legs because I will put pants and socks over them. Now I can finish up little Davey. Except that yesterday I decided that I just had to knit some lace, and that I needed to start a new project immediately. I kinda don’t like this about myself – the tendency to start new things so impulsively, but I just go with it. It takes me in interesting directions sometimes. I have wanted to knit a pi shawl for awhile so I have started a pattern by Donna Druchunas called Diamond Rings. Unfortunately, I started it 3 times. This was a little frustrating! It was my own dumb fault. I tried to transfer to circular needles too early. Twice! My favorite dumb mistake was that after I transferred, I had too much circular needle for the number of stitches I had so I was having to kind of move the stitches around. 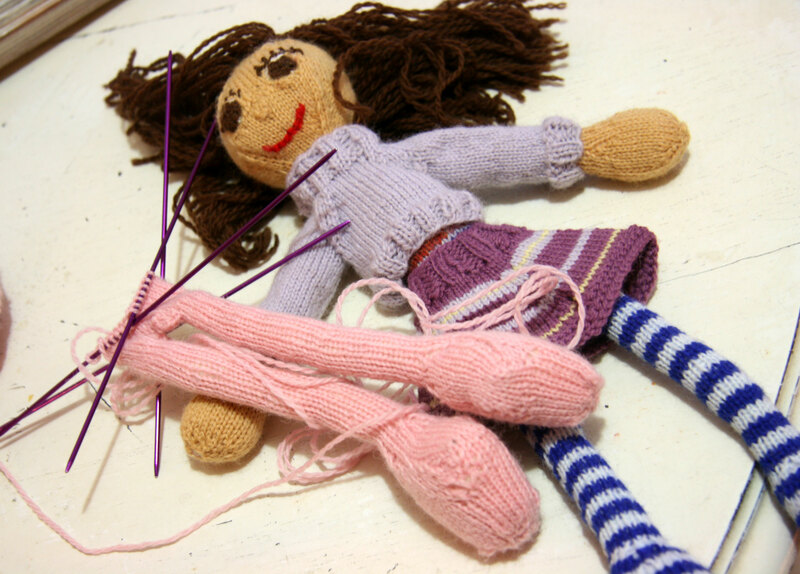 Somehow I took off knitting in the wrong direction. Hadn’t done that for awhile. So I ripped it out again. Now, I am off to a decent start. I may have gotten carried away with the stitch markers, but I am trying to protect myself from more dumb errors! Oh no, my dear. You have a case of startitis.